I appreciate the comment. I do agree it's not sharp through out the frame. The photo was taken at f2.8 . I didn't want to lose the moment so i didn't have time to change to aperture. This was taken hand held. Sharpness is actually not bad. 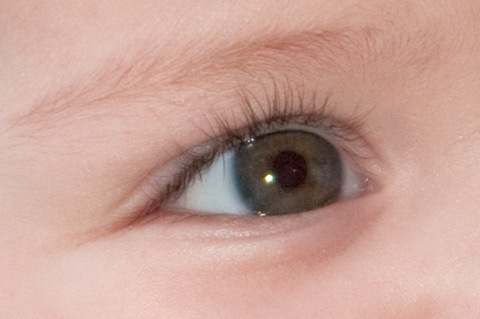 Here's a 100% crop of the eye. 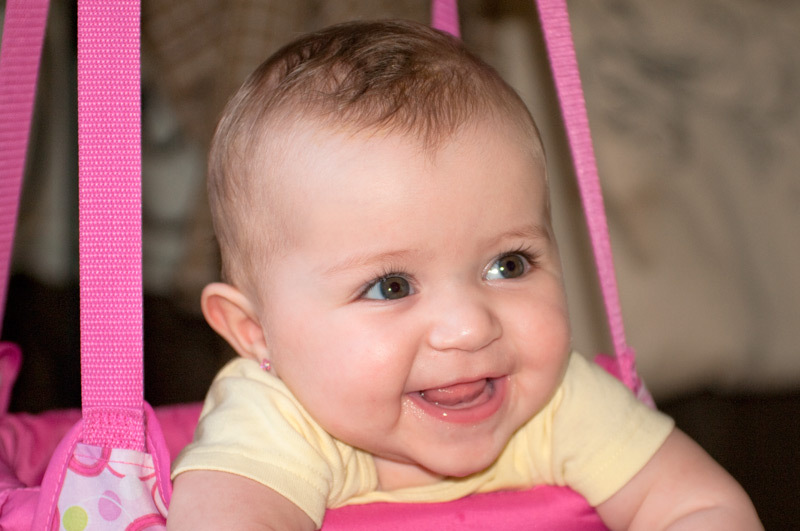 Even though the baby was moving on the swing, I'm happy with how the shot turned out knowing that this was taken indoors. I will be doing more baby shots this week. I will try an tripod this time and using a remote control. It's hard to make a baby smile when holding the camera.